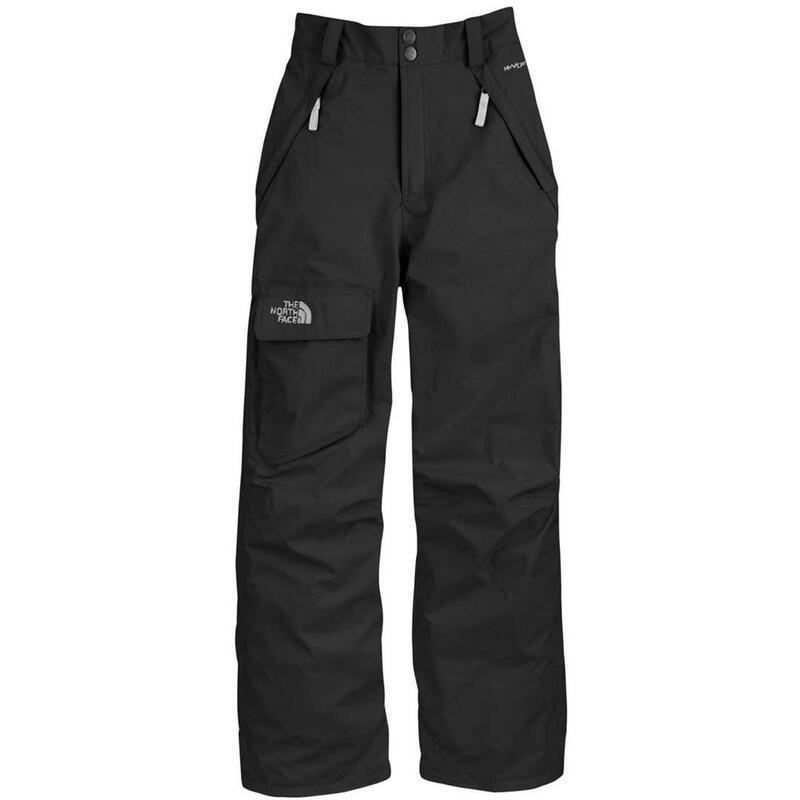 Step into this waterproof, insulated, durable pant and you can hit the mountain knowing your lower half protected from cold, wintry elements. 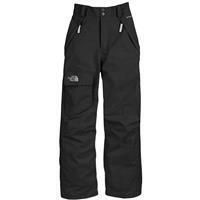 Made from waterproof, breathable, fully seam sealed HyVent® 2L fabric on the exterior, this snow pant features warm and lightweight insulation. 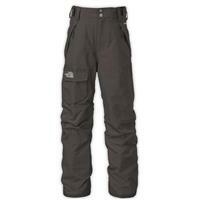 Cargo pocket at right thigh ideal to stash resort trail map. EZ (easy) Grow cuffs at leg openings unravel 2" to extend length of pant as boys grow. 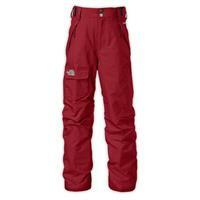 These North Face adjustable hem boys grow pants are always a perfect fit! One of the best pants for kids! They are simple and warm, especially when linked with a good base layer. They have "EZ Grow", which at the bottom of the pant leg you pull/ cut some of the tread to lengthen the legs. Kids wont grow out of their pants as quickly now, which is awesome!